Editor’s Note: We are honored today to feature a guest post by a very talented writer and proud father, Tim Shaw. 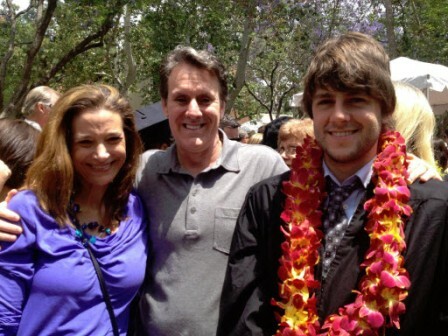 Last week, Tim’s son Chase graduated from the University of Southern California with a degree in Theatre. In the days leading up to the graduation ceremony, Tim posted some thoughts on his Facebook page. He has graciously given us permission to share those thoughts with you here. In less than a week, my only son, Chase, graduates from USC with a degree in Theatre. I get the question almost every time I tell people his major. “What’s he gonna do with that? 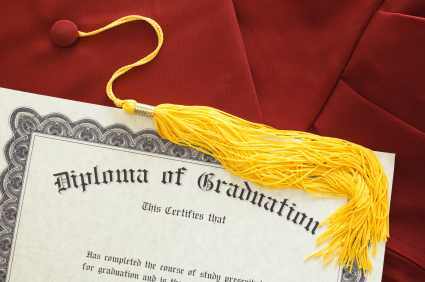 !” It’s not asked as if to mean, “What are your son’s plans after college?” It’s indicative of a cultural mindset that a career in the arts is not a viable option or is somehow a “lesser” pursuit than say, physics or law. I recognize that this isn’t done out of malice, but it is an insulting implication nonetheless. - Take a 360 degree approach to his major, investing time and effort in learning all aspects, including acting, directing, producing, fundraising, managing people, tech (lighting, set design, sound, props, etc. ), improvisation, writing, budget & finance, working with agents and contracts. - Seek to be great rather than famous. Seeking to be famous doesn’t require education. It simply requires a significant lack of pride and principles. Artists add something lasting to the human fabric. The Real Housewives of Orange County and the Kardashians are famous. Daniel Day Lewis and Kurt Vonnegut are great. Chase will engage in the dogged and permanent pursuit of excellence rather than the crass, temporal lure of notoriety. - Take non-Theatre classes as seriously as those in your major. Artists comment on the world. The most insightful and enduring art is that which dives deep into our common experiences and surfaces with a perspective that challenges conventional thinking, restates reality and provokes serious discussion about change. History, science, technology, philosophy…they all provide the raw materials for art. Chase has lived up to these expectations with flying colors. He’s written, directed and performed – from Tolstoy to improv. He’s developed and managed budgets, struggled through “people issues,” met deadlines, failed, learned from his failure, and has emerged on the other side fully equipped to make a run at a lasting, passionate and meaningful career creating beauty the rest of us can marvel at, take solace in, engage emotionally with, learn from…and yes…pay for. Chase’s path won’t be easy. His profession is built on daily rejection. He will hear “no” 99% of the time. But he’s been trained in how to do it right. He’s not going to wait around for someone to give him a job. He’ll create his own opportunities. Years ago, Chase and I had the privilege of dining with Gary Austin, the founder of the prestigious Groundlings Theatre. Gary gave Chase a piece of advice he’s taken to heart: “You are never out of work if you are constantly creating your own.” My kid NEVER stops creating. And, you know, Chase may eventually decide he wants to pursue something other than the arts. I have no doubt that the training and education he received at USC has laid a solid foundation for whatever he wants to pursue in the future. The skills articulated above are exactly what employers say they are looking for and what entrepreneurs are made of. Ultimately, though, I want him to pursue that which energizes him to get up each and every day, slog through rejection, persevere through procrastination and leave a lasting positive impact during his time on this earth. So, what’s Chase going to do with a Theatre degree? Succeed. That’s what. 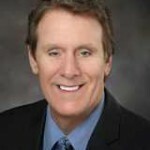 Tim Shaw formally served as the Chief Executive Officer of the Irvine Public Schools Foundation (IPSF). He is currently the Chief Development Officer for THINK Together, a non-profit organization committed to inspiring and nurturing children to become productive adults and responsible, contributing members of society. Tim may be contacted via the THINK Together website at www.thinktogether.org. And as always, we invite you to leave your comments below! I love what you had to say about your son. Like you, my son is involved in theater with directing, acting and writing. He works full time and pursues acting after work in the evenings and on weekends. Even though it is an exhausting schedule, he is following his passion. What more could we want for our kids! Best Wishes to Tim and his supportive family! !